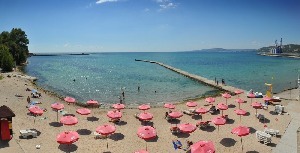 LOCATION: 150 m from the beach, facing the yacht port. 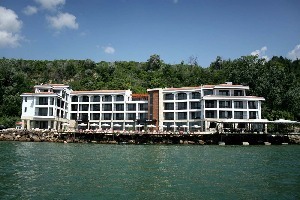 HOTEL CAPACITY: built in 2006, 38 rooms, lift. HOTEL FACILITIES: restaurant, lobby-bar, safety deposit box on the reception, internet WiFi, conference hall (60 pax), room service, laundry. 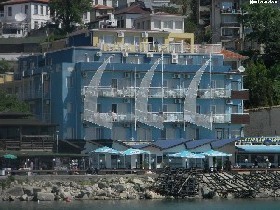 LOCATION: 400 m from the beach HOTEL CAPACITY: 140 rooms and 10 apartments HOTEL FACILITIES: the hotel has three buildings, restaurant, two swimming pools, fitness, tabletennis, billiards, sauna, massage, volleyball and basketball playground. 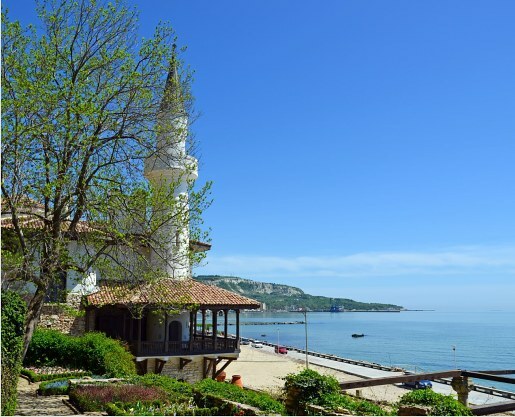 Balchik called in the past Dionysopolis -the city of Dionysus is a small but very romantic bulgarian town located on the Black Sea. 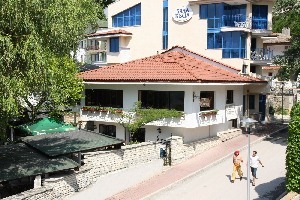 Balchik is located 40 km northeast of Varna and 510 km from Sofia. 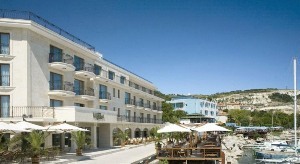 Situated on the beach. The coastline is 4 km long and it is a very pleasant place for walking. 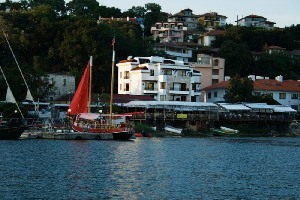 Port with many boats contribute to the colour of the town from where one can hire a boat and feel the sea breeze. The main attraction of this place is beautiful Botanical Garden, its terraced gardens on a steep slope and descend broad stairs to the sea. The garden has more than three thousand species of shrubs, roses and other flowers that grow in streams, waterfalls and ornamental canals, the small palace of Queen Maria, art gallery, historical - Archaeological Museum and Tuzlata are places that you should be sure to visit. The unique scenery, ancient history, tranquility and comfort, has charged a man visited this place.